The Brazilian side of 2010 could only make it as far as the quarter finals of the World Cup in South Africa and that was a disappointing outcome for a team with so much history in the competition. The five time winners were undone by a 2-1 defeat to the Netherlands and it’s interesting to note that the 2014 squad is very different to the one which competed four years ago. Julio Cesar was Brazil’s first choice keeper in South Africa and at the age of 30, the Inter Milan stopper had made the position his own amidst fierce competition. Cesar had only conceded twice in his team’s opening four ties so kept his place as the Brazilians went down in the quarter finals. Coach Dunga, the 1994 Brazilian World Cup winning captain had options on the bench if required. Roma’s Doni and Tottenham’s Heurelho Gomes provided back up to the first choice Cesar. Julio Cesar was joined by his Inter Milan team mates Maicon and the captain Lucio with Dunga hoping that their understanding at club level would translate onto the international stage. The back four was completed by Roma’s Juan while the coach took something of a gamble on PSG’s Michel Bastos who had just three caps prior to the start of the tournament. In 2014, Thiago Silva is the rock of Brazil’s defence but four years ago he was inexperienced and taken by Dunga as a back up to the main back four. 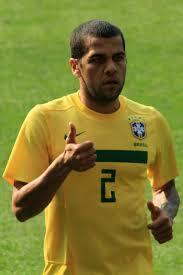 Elsewhere, cover was provided by Luisao, Dani Alves and the veteran Cruzeiro left back Gilberto. Real Madrid’s Kaka was the main threat for Brazil from midfield but despite having returned a strong scoring record throughout his career, the 32 year old failed to find the net in South Africa. Kaka was joined by Felipe Melo, Elano and the vastly experienced Gilberto Silva but while the foursome had a strong competitive edge, there was a lack of creativity that we’ve come to expect from the greatest Brazilian sides. Dunga kept faith with these men throughout the group phase but when it came to the crucial quarter final against the Dutch, Felipe Melo was sent off for a stamp on Arjen Robben with 17 minutes to go, Dunga’s men were behind at that point but indiscipline effectively robbed them of any chance to get back on terms. The 2010 Brazilians had plenty of talented cover and in hindsight should probably have made better use of it. Benfica’s Ramires and Flamengo’s Kleberson were kept on the bench but could have added more flair to a slightly rigid midfield. Many expressed surprise when 2014 coach Luis Felipe Scolari left Robinho out of his squad for South Africa, particularly as the former Manchester City man proved to be one of the few successes from the tournament in South Africa. The striker scored Brazil’s only goal in that quarter final defeat to the Netherlands and although he had more chances throughout the tournament, Robinho was a constant threat. Luis Fabiano was Robinho’s strike partner in South Africa while Nilmar and Grafite provided the cover for Dunga’s squad. Overall, the 23 man Brazilian party that headed to South Africa four years ago was untypical of the nation’s great teams. It was workmanlike but there was a distinct lack of creativity and flair from the midfield which could have taken the side further. Four years on, very few players from that 2010 squad remain with Dani Alves and Thiago Silva among the exceptions but there is more excitement among the current roster and that’s one of the main reasons why Brazil are favourites to lift the trophy this summer.